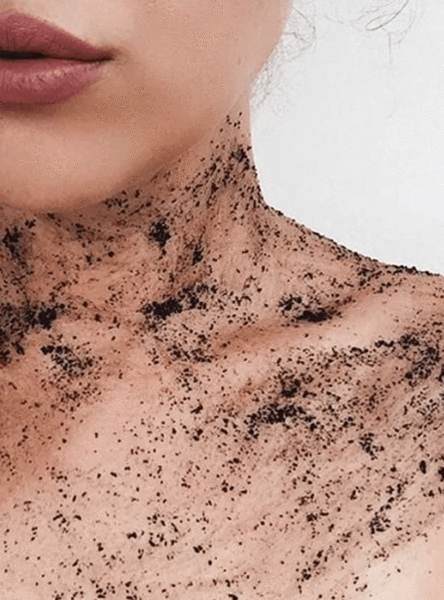 How to DIY Body Scrub with Coffee? You can spend a tidy fortune on expensive skin scrubs, when in actual fact you’ve got the makings of one for just a few dollars in your own kitchen. Today I’m sharing a DIY body scrub recipe as an economical gift to yourself and a beautifully thoughtful gift for another. To me, it’s the perfect scrub that I’d prefer to use over any other brand. Combine everything in a bowl and store in a glass jar at room temperature. Apply the scrub all over your body 1-2 times per week. I tend not to apply this to my face because it feels a little too coarse for my skin, but some may choose to do so. I also like to keep mine in the shower so it’s at hand and not an afterthought (when I risk sliding across the bathroom with wet feet to retrieve it). This stuff is messy! So make sure you jump in the shower to apply it.